Is an Orange Healthy to Eat for Your Skin? 4 Is an Orange Healthy to Eat for Your Skin? The orange fruit is an ancient citrus hybrid of a pomelo and a tangerine, cultivated originally in Southeast Asia. The fruit comes from a small tree that flowers and features evergreen leaves. The tree itself grows to approximately 32 feet tall and is found mostly in subtropical climates. The original name for the orange is believed to descend from the term "Chinese apple." The orange fruit belongs to a single genus known as Citrus. The majority of the different species in this genus are interbreedable. This can include grapefruits, limes, lemons and oranges. Each of these fruits are berries that contain many seeds. There are four different types of orange fruit. The Persian orange is found in southern Europe and is available in a number of colors and sizes. 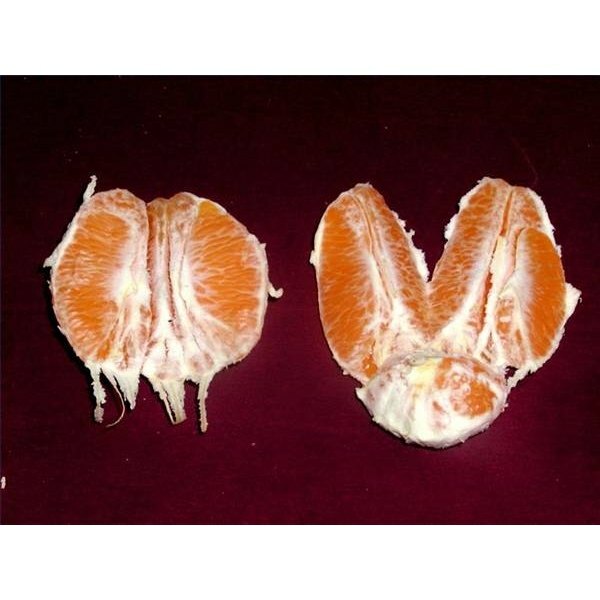 Naval oranges are a mutation that breeds sterile fruit with no seeds. The Valencia orange is used for juicing and is very sweet. The blood orange is dark burgundy and used heavily in marmalade. The orange fruit is one of the most acidic of all seed-bearing plants. The pH level is between 2.5 and 3, depending on the variety. This makes the orange as strong in acid as vinegar. Oranges are one of the largest commercially-grown fruits in the world. 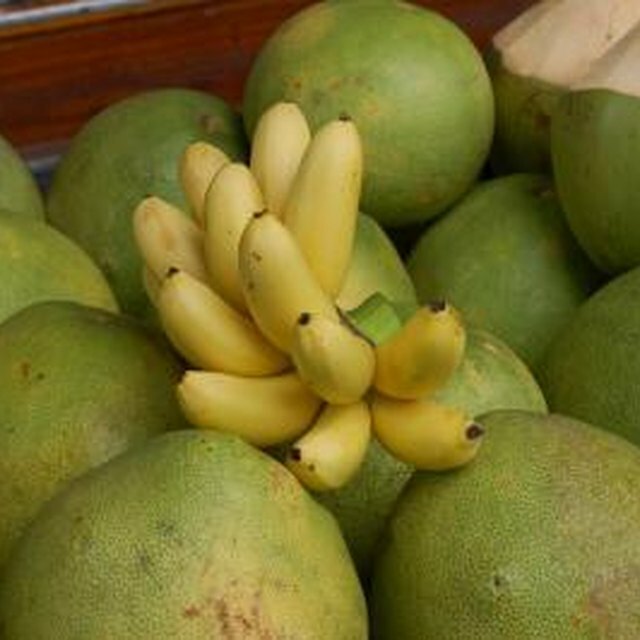 The top countries that produce the fruit are Mexico, the United States and Brazil. As of 2009 figures, nearly 105 million tons of the berry are produced each year. Although it is unknown exactly when production of the fruit began, evidence shows that southeast Asia began producing oranges by at least 4000 B.C. It then spread to Africa and eventually made its way to the Roman Empire by 200 B.C. It was brought worldwide by Spanish explorers in the 1500s. What Is the Proper Way to Slice an Orange? Can You Eat the Green Stem of a Strawberry?